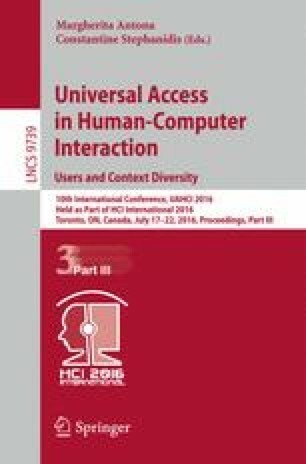 Till now, very few works have studied Virtual-Reality (VR) based intervention on Chinese children with Autism Spectrum Disorder (ASD), which motivates our study here. In particular, we designed a VR room where players learn new words through the ‘look’ of its visual form on one of the walls of the room. The integration of audio and visual modalities in the VR environment further promotes children’s word-recognition skills. This study offers early insights into the acceptability of such intervention technique among Chinese parents and their children with ASD. Moreover, the study also attempts to examine how children explore and scan their field of view, and how these eye-gaze patterns relate to their word-learning skill. The authors acknowledge the financial support to this project from the Wenzhou-Kean University Student Partnering with Faculty (SpF) Research Program. The authors also thank Tiffany Tang, Charles Zekun Li, and the participants in this study.